CarGurus has 2,959 nationwide CLS-Class listings starting at $4,900. The Mercedes-Benz CLS-Class changes little for 2008. Mercedes adds satellite radio to the CLS-Class's list of standard features and offers new wheel designs. All other features carry over from the previous year. Combining attributes of both a coupe and sedan, the CLS-Class retains its flowing, smooth-as-silk exterior and coupe-like tapering roofline, first displayed in 2006 when the CLS-Class debuted. The "four-door coupe," as Mercedes calls it, has elbowed out a unique niche for itself in the automotive market, thanks to its high-performance powerplants and luxury-oriented features, elegantly packaged in a coupe-style body with four doors. Although the CLS-Class seats four, the sloping rear roofline results in limited headroom in the back, especially for taller passengers, although the rear seats offer plenty of legroom. 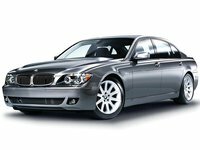 Add in leather interiors and proven V8 engines, and you have distinctive automobiles designed to appeal to discerning drivers looking for something outside the traditional luxury-sedan mold. Just two trims make up the CLS-Class for 2008. 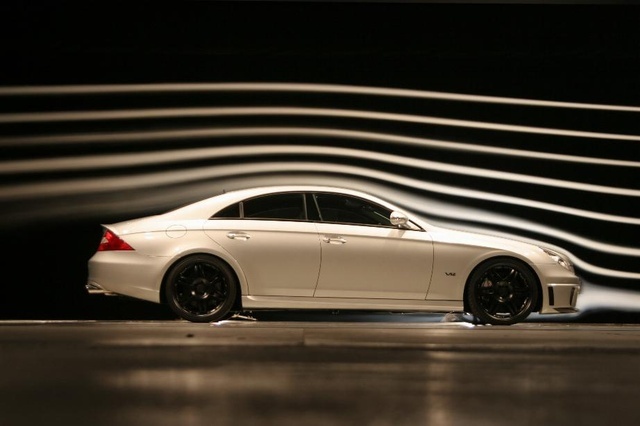 Despite its entry-level position, the CLS550 boasts a 5.5-liter V8 engine generating 382 hp and 391 lb-ft of torque. This powerplant develops 75% of its peak torque at just 1,000 rpm, so the car leaps off the mark and jumps out from 0 to 60 in just 5.4 seconds. The V8 links to a smooth-shifting seven-speed automatic transmission with closely spaced gears, resulting in quick response and effortless acceleration. In addition, the transmission includes Touch Shift, which enables drivers to shift manually using steering-wheel-mounted paddle shifters. The CLS63 AMG fills out the CLS-Class lineup and pumps up the power quotient a notch, thanks to a 6.3-liter V8 hand-built by AMG, Mercedes' in-house high-performance tuner. The V8 sends 507 hp and 465 lb-ft of torque coursing through a seven-speed automatic transmission equipped with paddle-shifted AMG Speedshift, which is calibrated for 35% faster shifts and rev-matches downshifts. This powerplant drives the CLS63 from 0 to 60 in 4.3 seconds, although some reviewers have clocked 0-to-60 times as fast as 4.1 seconds. The CLS63 also stops in commanding fashion, courtesy of its AMG braking system, which consists of six-piston calipers and massive 14-inch rotors in front, and four-piston calipers with 13-inch rotors in the rear. Other AMG-unique features include a sports exhaust system, sports suspension, rear spoiler, and body enhancements, including a sportier front apron, round foglights, side skirts, and a rear apron. The interiors of the CLS-Class trims make extensive use of leather and hand-polished wood, although passengers will find less interior space than in their sibling E-Class sedans, upon which the CLS-Class is based. Such features as four-zone climate control, 10-way power-adjustable front seats, a power tilt/sliding glass sunroof, electronic cruise control, and a Harman Kardon Logic7 digital surround-sound system all come standard. The CLS63 adds AMG sports seats, an ergonomic steering wheel, an AMG instrument cluster, and sports pedals, among other features. Mercedes' Airmatic Semi-Active Air Suspension with Adaptive Damping System comes standard on both trims. The system ensures a comfortable but supportive ride by firming up the springs during acceleration, braking, and cornering to reduce pitches, dives, and rolls. Antilock brakes with brake assist also come standard. Both trims ride on 18-inch wheels with high-performance tires, while an AMG Performance Package adds 19-inch light-alloy wheels for the CLS63 AMG. Other options include Distronic Adaptive Cruise Control, a navigation system, and the Parktronic rear parking assist system. What's your take on the 2008 Mercedes-Benz CLS-Class? 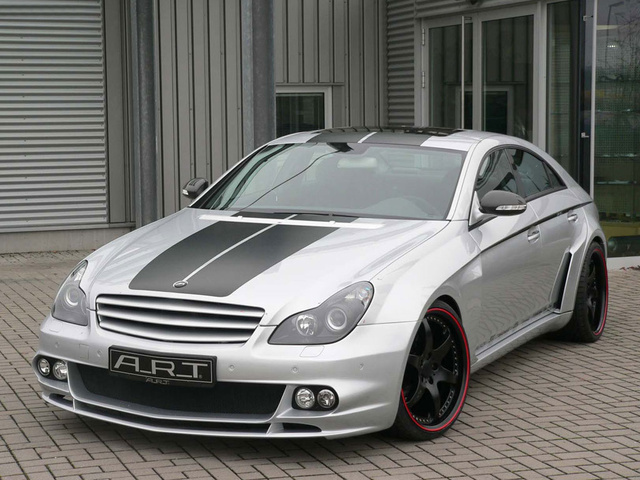 Have you driven a 2008 Mercedes-Benz CLS-Class? Thumping Noise Driver Side When Car Is Turned Of . There is a thumping noise on the drivers side front.After the car is turned off . After accepting an offer, I have heard nothing from the buyer. How do I retract my acceptance and put my car back on the market? ?